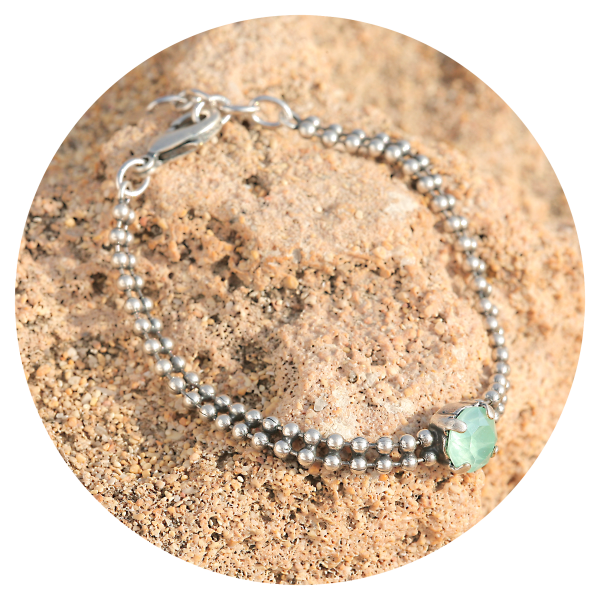 This bracelet has a very high quality Reinsilber silver plating in a unique silver patina tone made in Germany! 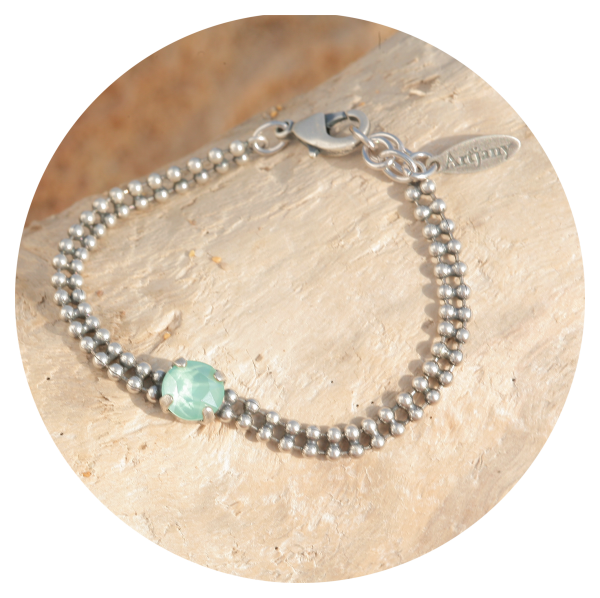 With a 9mm crystal of SWAROVSKI in mint green. 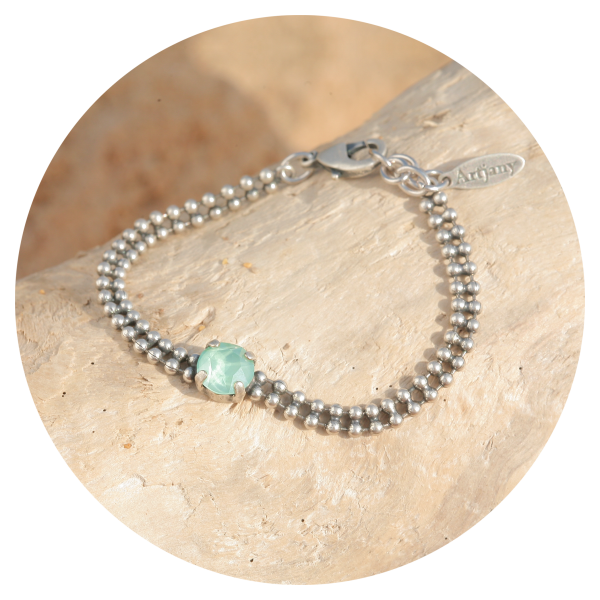 We are happy to produce the bracelet in your favorite color ... see color chart. 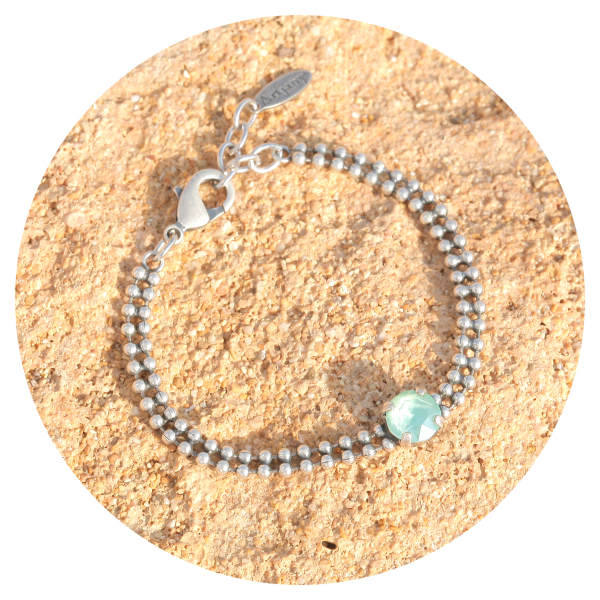 The bracelet is adjustable in size from 16 - 20 cm. Handmade in our studio in Düsseldorf!